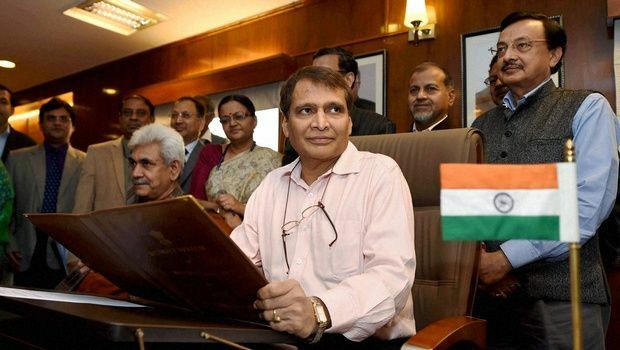 Union Railway Minister Suresh Prabhu on Thursday presented the Railway Budget for 2016-17 in the Parliament. He said the government, in the last one year, has taken several measures to improve the capacity of the organisation to ensure readiness for the accelerated growth envisioned for Indian Railways. Here's how the Opposition and former railway ministers received his budget. Pawan Bansal: Nothing new in the Rail Budget 2016,except for bio vacuum toilets. But I don't know how successful it will be. The two locomotive factories announced are also old, it was decided when I was Rail Minister. Dinesh Trivedi: Budget kahan aaya? Budget hota hai 'statement of vision', Rail Budget 2016 tha 'statement of illusion". (Budget is supposed to be a statement of vision, Rail Budget 2016 was the budget of illusion). The Indian Railway Budget for 2016-17 on Thursday spared passengers and goods movement from any increase in tariffs while it announced the introduction of three new superfast trains and the creation of dedicated north-south, east-west and east coast freight corridors by 2019. Presenting his second Budget in the Lok Sabha, Railway Minister Suresh Prabhu promised rationalising of the tariff structure by undertaking a review to evolve competitive rates vis-a-vis other modes of transport and to expand the freight basket as a means of additional revenue mobilisation. Unlike last year when he tweaked freight rates, Prabhu made no changes, neither in passenger fares nor freight rates. The three new superfast trains announced by him include 'Humsafar' which will be a fully air-conditioned 3AC service with the option of meals. 'Tejas' will showcase the future of train travel in India with speeds up to 130 km per hour with onboard services such as entertainment, local cuisine and wifi. The two trains will ensure cost recovery through tariff and non-tariff measures while 'Uday' will be an overnight double-decker along with 'Utkrishit', a double-decker air-conditioned yatri express on the busiest routes. For improving the quality of travel for unreserved passengers, a superfast 'Antyodya' express service will also be introduced. 'Deen Dayalu' unreserved coaches with portable water and higher number of mobile charging points will also be introduced. Prabhu also announced the setting up of a Rail Development Authority to enable fair pricing of services, promote competition, protect customer interest and determine efficiency standards. The draft Bill in this regard will be ready after holding extensive stakeholder consultations. Outlining the Budget estimates for the coming year, the minister put the plan size at Rs 1.21 crore. The focus will be on capital expenditure with a mix of various sources of funding to ensure the projects are given assured funding.